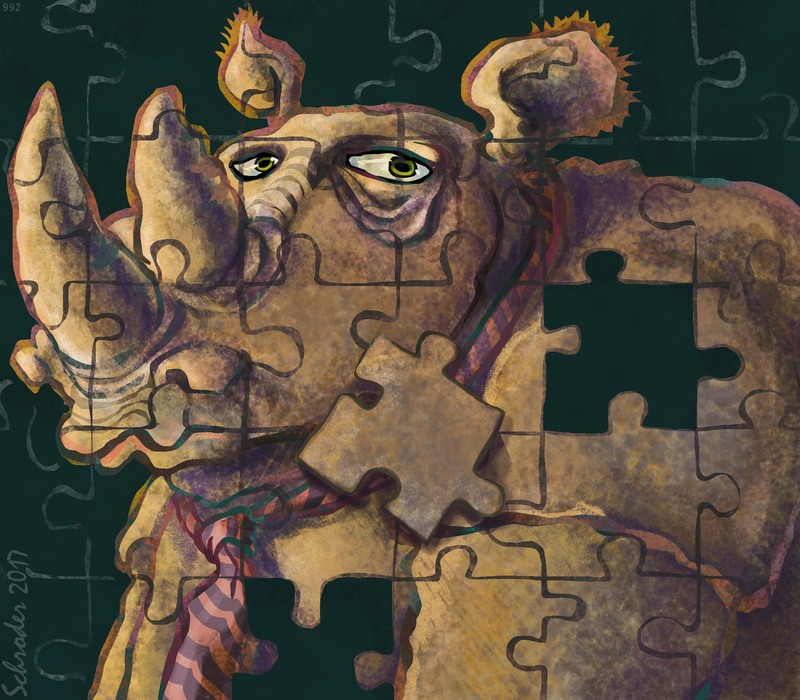 Rhinos often suspect that some part of Us has gone missing. Or more than one. Or possibly more of Us is missing than has been located to date? What We really suspect is that missing pieces are connected to the idea of room for improvement.